Waxing eloquence on forgiving and forgetting is all over the place. For some the combination is lethal. For some forgiving is easier but not forgetting. For some nothing matters. After a woman-to-woman discussion with my sister on this subject, we unanimously agreed that while forgiving and forgetting is easy with some individuals, it can be completely impossible with some. 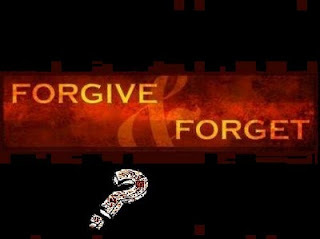 No matter what the issue is, with some individuals, we find it quite hard to practice forgiveness. Perhaps, it is their disposition which is quite sardonic. While some others we can easily forgive even though their act is quite unpardonable. Why? I agree that the human being is quite a complex creature with a bundle of contradictions. Sometimes living itself is filled with paradoxes and ironies. Such is life. But forgiving and forgetting is something which is quite an everyday process for most of us. While it takes the utmost courage and strength to forgive as well as forget, it depends on the person who has committed the wrong. I can easily forgive and forget some individuals while I cannot do so with certain others. This kind of partiality is not quite becoming of me but I still DO it. Well, I wonder what is your attitude in forgiving and forgetting. Can you be uniform across the board or are you like me? Observe the picture carefully. It is a masterpiece by Pieter Bruegel. The painting is titled, "The Fall of Icarus." Assuming that you, worthy readers, know the myth of Icarus, I proceed to ask you a question. 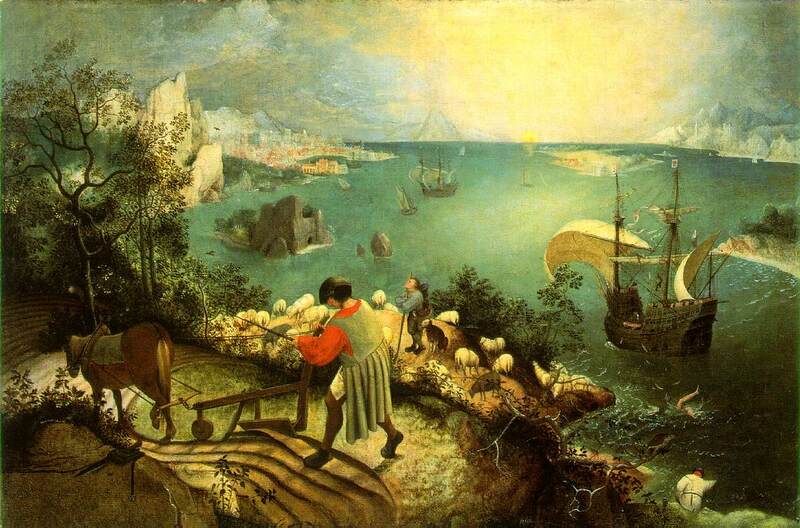 Why is this piece titled "The Fall of Icarus," when Icarus is not prominent in the painting? I am never ceased to be wondered by the title of this painting. Now I wonder what you have to say on this. It all starts when one has kids. Well, you don't have to have your own kids, cousins, aunt's kids will also serve the purpose. Ever noticed that while walking with kids, they tend to ask: "How much more should we walk?" And pat comes the kind reply: "We will be there in a minute" or "We've almost reached." Now whenever the poor child asks the question, we tend to give the same reply. The innocent kid who always trusts, nods sadly. Adults don't intentionally lie but pacify the kid assuring him/her that the distance is not too much. Legitimate. Now what is a bit puzzling is that even with adults, some people resort to the same behaviour. Take for example, returning calls. If someone tell that she/he will call in ten minutes, nine out of ten will never call in ten minutes. If one calls back and politely demands why the call wasn't returned, the answer one gets is something like this: "I said ten minutes. You are very impatient. Don't act like a child." But it is past twenty minutes. How do we account for this estimation of time at the other end? More than being callous, some individuals give an estimated time that crosses their mind at that precise time. They don't ever think beyond that particular situation. Similarly, the numbers two and five are very popular with people. 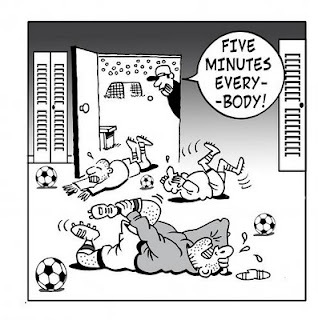 The expression, "Give me five minutes" or "Give me two seconds" is quite common. If you haven't noticed this, please do so. You will be surprised at the number who use the numbers mentioned above, of course without sticking to the specified number in time. Five minutes will always be twenty and two seconds will always be five minutes. So much so. Time is relative. Agreed. But when it comes to others' time, it is precious. One cannot take unsolicited liberties with other people's time. While giving a time limit, it is better we try to stay with it. So, what's your take on estimating time. Wait, till I narrate my tale of woe. Though I cannot deny the wonderful attributes of being a teacher, I must admit that being a teacher of English has many many strings attached to it. Firstly, people (all sorts: students, immediate and extended family, general acquaintances, friends and others) think that you know the meanings of all the words in the face of the earth. Second, your grammar has to be flawless and your writing precise. Third, you are always called by relatives to clarify doubts, write invites, essays for children, fill up forms and other inane forms of writing. Let me stop with the list. One thing which instantly puts me off is that while I am engrossed in my work, I sometimes receive a call from a cousin living in another city, requesting the meaning of a particular word that she came across in the newspaper. Depending on my mood, I respond to the situation. If in a sober and peppy mood, I take it in my stride and feel elated that people call ME to get word meanings. But if my mood is slightly under the weather, the caller will be given a liberal dosage (I shall illustrate with the exact words): "Do you think I am a mobile dictionary. You are plain lazy to look up a word and thus call me from nowhere. Don't you know that the dictionary has all the words you are looking for. Lazy ##$%&*." Assessing the situation, it looks like not only teachers of English but all teachers are expected to be all-knowing. But teachers who teach English and languages become the most targeted of the lot as language becomes indispensable (read language teachers as well) in everyday life. 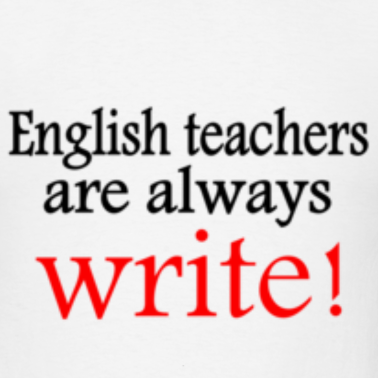 Off late, every teacher of English is supposed to have a blog. The conversation starts of like this: "Oh, you teach English . . . then you must be having your own blog." 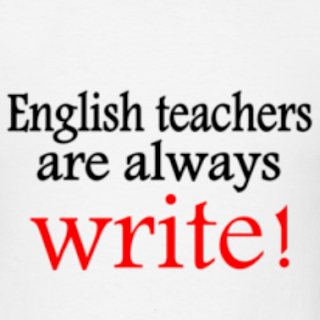 Well, incidentally I do have a blog but why are there so many stereotypes associated with a teacher of English. I can go on with my meanderings but I shall take heed of your patient disposition and stop. Maybe you also belong to the category of people who view teachers of English as all-words-knowing and super man/woman-in-grammar. 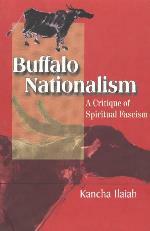 If yes, please state the basis of your theory and if no, you are blessed and may your tribe increase. On second thoughts, I think that we (teachers of English) ought to be better than the common man in knowing the nuances of the language. Contradiction? Life is so . . . The "follow" button in Blogger has become the most favoured as well as despised button of the blog authors and readers. When one begins to blog, the button is looked with yearning and getting followers one by one gives a sense of unique self-esteem which inflates the ego. One feels that there are people who like the writing style and content of the blog. Well, this is just the beginning. After a considerable number of followers decorate our blog, we gradually learn that following a blog is something like the art of flitting from one blog to another, reading the most recent post, and voila! pressing the Follow button. It becomes a formality. Recently, while going through my blog's followers, I found that many individuals follow my blog while only few are regulars. I think they base their opinion of a blog by reading the most recent post and instantly hit the Follow button, little knowing that they never will venture in the same place again. Sad. Following blogs has become more like a return gift where if one follows, the other reciprocates by following. For a very long time, I meditated and mulled over before following any blog. I had to read atleast three to four posts of that blog before I could press "Follow." Even now I do that but have lost the verve of yore. Following has become more like a social obligation where one leaves a visiting card to everyone present. Social butterflies who are adept at hopping from parties to parties make good bloggers who follow any blog quickly but seldom take time leave comments or even visit the blogs they follow. So, if I don't follow your blog after you have started following mine, it means that I am reading your posts and wondering whether I should Follow. Well, these thoughts were an instant emptying of the meandering mind. Why do you follow whom you follow? Do you take time to follow a blog or you show your kindness by returning another blogger's favour and following. Have you ever had soulful conversations in the dark? When a friend or cousin comes over to your place and you find yourself wanting to share so many aspects of your life to him/her, you forget that it is time for sleep. Often personal and intimate conversations, for me, happen at night. The darkness is some sort of intoxication which loosens and makes me talk non-stop. I have observed this trait with many people of both sexes. Once there is the shroud of darkness where one can hear only the voice and not see the expression on the face, dark secrets are easier to spill. I often wonder about conversing in the dark. Why do people feel so comfortable talking in the dark? The individual knows the person sitting beside is a confidant and can be trusted with anything. 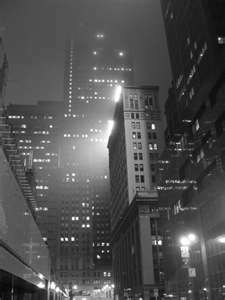 But still darkness is something which acts as a wonderful catalyst for speaking of the innermost thoughts and feelings. And while this soulful conversation takes place, one can observe patterns on the wall made by the tiny light orifices. If any vehicle passes outside, the shadow of the objects outside make patterns on the wall. If these patterns interrupt our conversation, we are more than happy to watch the moving figures. I might have had innumerable such conversations in the dark with friends, parents, relatives, colleagues and students. No matter what the topics were, it flowed seamlessly. Shame, guilt and other strings were cut lose. Sometimes tears which would flow involuntarily were masked by the darkness (ofcourse if the sniffles are absent). Finally, we never know when we fall asleep. Sleep comes unawares and the next morning leaves us with a feeling of camaraderie -- a process where each other drank freely out of the cup of mistakes, pain, love, laughter and guilt. I love those conversations in the dark. Have you had such 'dark' conversations?